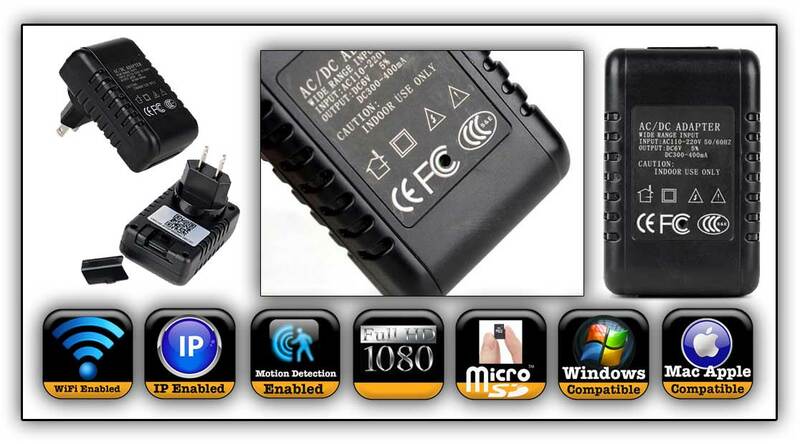 This new generation Power Adapter Covert Video Camera System is state-of-the art with it's amazing features! Just plug it into any wall plug outlet and you have no need to worry about battery power as it runs on electrical power. This is just the start of the amazing features found in this covert video recording solution! You obtain full HD 1080p resolution. The unit is WiFi enabled and IP enabled which means you can watch and download your covert video evidence in your smartphone, laptop, notebook or tablet. You can also set it up for IP viewing which means you can view anywhere in the world.